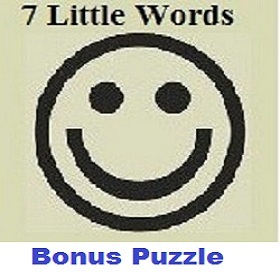 Check 7 Little Words Free Daily Bonus Puzzle answers of 16th January 2019 below. Today’s Puzzle answers are solved based on the clue words “Protection”, “Some musical notes”, “It swims against the current” etc. Below you can check answers in blue color and clues in red colored text. To view more previous answers of Bonus Puzzle Click here.